Current Affairs updates and G.K. [General Knowledge]. 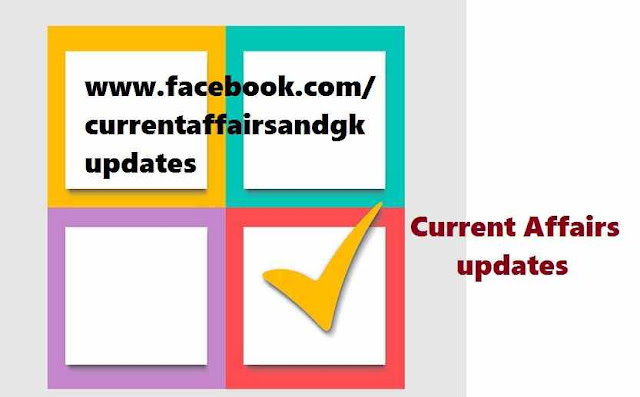 Current Affairs updates till 1st October 2015 are covered.Updates on 29th September,30th September and 1st October 2015 are covered. 1.World Heart Day -September 29.Awareness Programs were conducted around the world on Cardiac Problems. 2.ISRO's [Polar Satellite Launch Vehicle]PSLV C-30 carrying ASTROSAT lifted off from Satish Dhawan Space Center.With this ISRO launched Six foreign satellites.PSLV has marked another achievement for launching more than 50 foreign satellites into the space. 3.Cricket God "Sachin Tendulkar " sang a song for "Swatch Bharath Abhiyan" ,a government initiative.This song was composed by music trio "Shankar-Ehsaan-Loy". Air Gun Championships in Delhi. 5.RBI [Reserve Bank of India] cuts repo rate by 25 basis points.It made reverse repo rate to 6.75%.RBI cut interest rate by 50 basis points. 6.A commemorative stamp on BR Ambedkar ,the chief architect of India's Constitution was released as part of the 125th birth anniversary celebrations of Ambedkar. award in recognition of his contributions to the West Midlands region of Central England. 8.Maruti Suzuki Chairman RC Bhargava has been honoured with the Forbes' Life Time Achievement award at the Forbes India Leadership Awards [FILA] 2015.